In case the cold weather and yellowing leaves weren’t enough of an indicator, let me be the first to tell you that fall is officially here. But there’s no need to frown, because with fall comes all the delicious hearty food meant to be enjoyed in front of a warm fire. 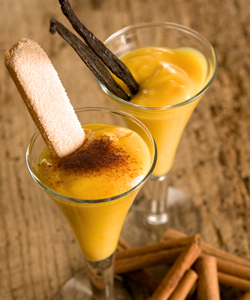 However, our favorite fall foods are not just for our stomachs. We can also use the main ingredients of those recipes as inspiration for some new hair care treatments. So if you’re interested, then grab your favorite wool blanket, cuddle up and read on. 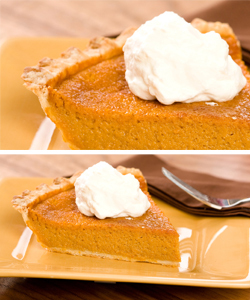 I don’t think it’s possible to have fall and not have pumpkin pie —it simply isn’t done. 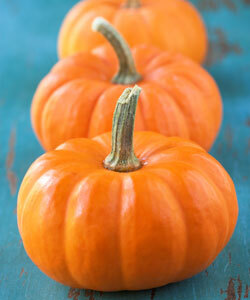 But did you know that pumpkins can help to prevent hair loss? The oils found in pumpkin seeds are rich in vitamins and minerals, but most importantly for hair loss sufferers, they also contain cucurbitin, an amino acid thought to prevent hair loss. If you want to reap the benefits of this powerful oil, then try incorporating it into your hair regimen. You can also sprinkle pumpkin seeds on your salads and add them to your baked goods. The sugar, spice and honey that we use to make our mouthwatering treats for fall can help to prevent a common problem many co washers face — scalp build up that can cause flakes and itchiness. In order to get rid of this build up, you can exfoliate your scalp by mixing 1 tablespoon of sugar and ½ a tablespoon of honey and using it as a scrub. Wet your hair to ensure your scalp is damp, then part your hair, apply the scrub to your scalp and rub it gently in a circular motion. Continue to part, apply and rub until you have exfoliated your entire scalp. Then cleanse and style your hair as usual. 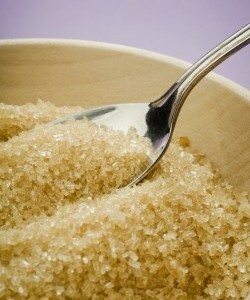 You can also add ½ a teaspoon of cinnamon to your mix to help stimulate hair growth. Make sure you don't scrub too hard since you don't want to scratch your scalp. 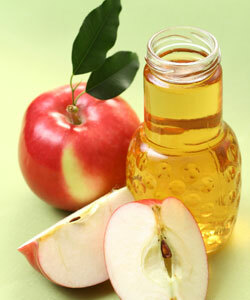 While apple cider is very delicious, the vinegar is also very good for your hair. If you suffer from dry hair that easily tangles, incorporating an apple cider vinegar rinses into your routine may just be the quick fix that you need. All you need to do is mix 1/3 of a cup of apple cider vinegar to 4 cups of water in a bowl. After thoroughly cleansing your hair, pour the mix onto it and gently massage it in then rinse with cool water to seal your cuticle. Do this no more than once a week and enjoy healthy, shiny hair. This is a holiday favorite loved by many, but did you know that you can also use sweet potatoes to help hide your gray hairs? For a long time now women have been using this simple vegetable to naturally darken their grey hairs back to its original color and help the gray blend more seamlessly into the rest of the hair. To darken your grays, simply put about a cup of sweet potato peels and two cups of water into a pan and allow to boil for 5-10 minutes. Allow the mix to cool, and pour the liquid onto your hair after cleansing it first and massage it in. Do NOT rinse. Style as usual. If you love eggnog as much as I do, you'll be delighted to find out that the main ingredient egg can come in handy for your hair. If you are experiencing light breakage or you just want to strengthen your hair without risking it getting dry and crunchy from strong protein treatments then a hair egg mask may be for you since eggs are high in protein. To create an egg mask, simply crack an egg or two depending on your hair length, and separate the yolk from the whites since you will only be using the yolk. Mix the egg yolk with your favorite oils and apply the mix to your hair. Cover with a plastic cap and allow your body heat to help the mix penetrate your hair strands for 5- 10 minutes. Rinse your hair thoroughly with lukewarm water and cleanse and style as usual. Please ensure that you do not rinse with hot water or use a heat cap to avoid having to rinse scrambled eggs form your hair.